This beautiful oriental rug photo taken by Peter from Saudi Arabia and licensed under CC by 2.0. 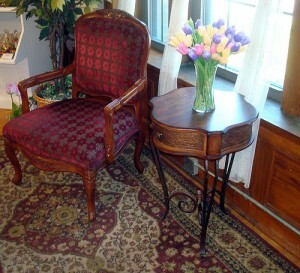 If you are wanting to purchase an Oriental rug for your home visit https://www.southwesternrugsdepot.com/. 1. If your Oriental rug is made of cotton, is the cotton is mercerized or non-mercerized? 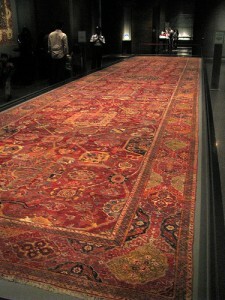 Most oriental rugs are silk or wool, but there are some made of cotton. The kind makes a big difference. Mercerized cotton has been treated with heat to make it fade resistant. Mercerized cotton rugs are also resistant to shrinkage and generally easier to clean. Mercerized cotton looks shinier and smoother than non-mercerized cotton. Great care must be taken to follow the manufacturer’s recommendations for cleaning rugs made of non-mercerized cotton. 2. What does the manufacturer of your Oriental rug recommend? Steam cleaning your Oriental rugs may be fine, but you should make sure by checking what the manufacturer of your Oriental rug recommends. The money saved doing your own Oriental rug cleaning is no bargain if you end up with a rug that needs to be repaired or is ruined by improper cleaning. Many newer oriental rugs are already treated with a chemical to prevent stains when you buy them. However, treating your oriental rug with a carpet protector like Scotchgard™ will give it additional resistance to stains. 3. Are you comfortable cleaning your Oriental rug yourself? You should only clean an Oriental rug if you know the material that it is made of and are certain of the correct process to clean it. Some of these rugs are made of silk; others are natural wool or cotton. Some of these rugs are machine-dyed and some are hand-dyed. Cleaning a hand-dyed silk rug improperly can easily ruin it. 4. If you decide to use a commercial rug cleaning company to clean your oriental rugs, what should you look for? Look for an established cleaning company with technicians that are IIRC certified. Carpet cleaning techs who have this certification know how to clean different kinds of Oriental carpets. At National Clean, we have been cleaning carpets for decades and every one of our techs holds this certification. Trust your valuable Oriental rugs to certified cleaning professionals who have been in the business for many years. Ask your National Clean tech to show you his certification. He’ll be glad to do it. Call National Cleaning Specialist at 813-435-1331 for Oriental rug cleaning in New Tampa, Wesley Chapel, Lutz, or throughout the Tampa Bay Area. This entry was posted on Tuesday, June 14th, 2011 at 12:33 pm	and is filed under Carpet Cleaning. You can follow any responses to this entry through the RSS 2.0 feed. Both comments and pings are currently closed.